Parts were shipped promptly right after ordering and arrived on time via FedEx ground. Watched the video, which was really well done, then took my time and an hour later everything was buttoned up and installed. All the parts needed were included, they even give you printed instructions if you don't want to watch the video. There are no hidden gotcha's, this is as straightforward an install as I've ever seen. The folks at 4Dtech were kind enough to add a couple of custom tweaks to my unit before shipping it to me, big Thank You to them, it all looks and works great. The one thing that was missing on my new to me truck. Love using the Apple car play. Everything works as it should. Installation was easy with the video to use as reference. The dash tools made taking the dash apart very easy. Hardest part of the entire installation was getting some of the modules unplugged from their locking pigtails. Overall excellent product. If you are on the fence about this, don't be, go for it. It's one of the simplest, seamless mods you can make to your truck. I was a bit worried about performing this myself. Everytime I mess with the interior of a vehicle I break a plastic tab, not this time. 10 screws, 6 connections and done. Completely seamless. Should also mention customer service is excellent. Had a couple questions which were promptly answered. If you can afford it there is no reason whatsoever not to do this. Feeling the pinch of aged technology, crazy to say in three years, in a vehicle we want to keep forever. Finally the answer. The swap,out was as easy as advertised. The only gotcha I ran into was a blow fuse. How that happened who knows, but a quick change in the foot panel on the passenger side and boom, worked! The upgraded system is fast. I mean fast compared to the MFT system. For the day it was introduced I always thought MFT was the bar to be matched. Now this system... amazing. Gives new life to our truck and makes working on the road so much easier! I've always wanted to get Sync 3 ever since it was introduced but I bought my Ford a little early. I've always looked into trading up but was discouraged by the immense cost of trading in and duplicating my truck just to get this feature. Just a couple weeks ago I got a bug and searched for another way to do it and came across 4DTech offering exactly what I was looking for. The cost seemed a little high but I did it anyway. The installation was exactly as smooth and easy as represented in the videos and it works flawlessly! You can't go wrong with this upgrade or with 4DTech! Like it rolled off the showroom floor. So the my ford touch was Ok but the Sync 3 had come out and gave the WOW factor, I was thinking about trading in my truck - well not just because of that but that was a consideration. 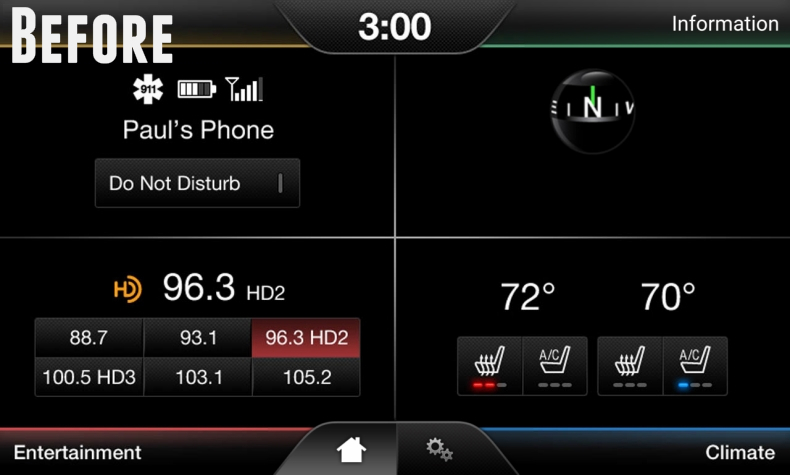 I already had the my ford touch with Navigation, so it was really easy to swap over to the new Sync 3. So for the price I paid , I saved myself about 70K on a new truck - this one will last several more years. Now no more stupid updated to buy for maps sick of years of buying map updates, Ill save that money in paying for the Nav feature - though Gmaps is awesome? Also the newer apps actually work - ford + alexa is my favorite. As before nothing worked. My maps were out of date, and I wanted more control over the functions of my phone while driving. 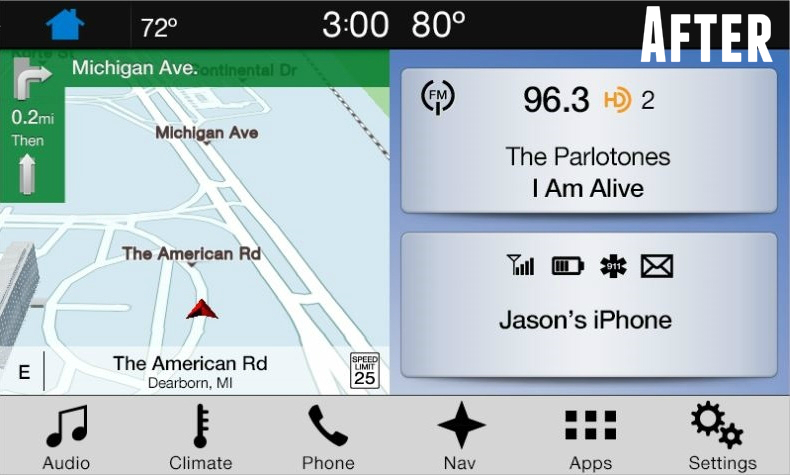 I ordered the system, with Nav because I had a Nav system already. It honestly took 15-20 minutes to install, and learning to use was even easier. I installed the Android Auto from the Play Store (Android) and it was done! Key: You have access to Google with the voice button on the steering wheel only when the phone is connected with USB. When only using Bluetooth you have basic phone usage, just like what you had. With USB connections you can reply to Txt message with voice commands, use Google Maps, and do searches on the Internet. Way more user friendly than the Sync system alone. When connected to USB it doesn't use the Nav system, it uses your default program from your phone. Honestly, the NAV part may be unnecessary, but I wanted it anyway. It works if my wife is driving my truck and isn't connected to the system. Lost the ability to do the vehicle reports, but my best is that we'll get that back later, and it will be going away from Sync 2 in the near future anyway, as Sync 2 support is going away in 2018 anyway. Definitely worth the cost of the upgrade. I really love the new unit. Was VERY easy to install and works great. Just wish you can still see the map on the home screen, that only works when you do not have your phone plugged in. The Map section is blank and should at least allow apple maps, if not the sync map. Love the unit though.